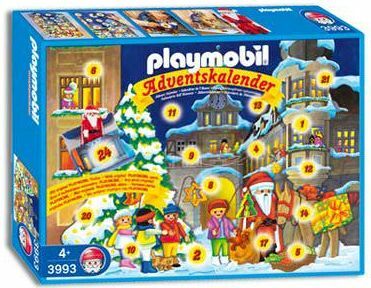 The Advent Calendar began in 2002. In this year, it was simply part of the season's Christmas first countdown. Matt picked up a Playmobile calendar in order to have something to talk about each day. While plot lines were not established nor thought of yet, a few characters like the Mares were introduced. The Calendar was abandoned on the 21st box, which wasn't completed until late January, but another random tease appeared in mid-February. The following year a hint that the 2002 year might get re-finished was a possibility assuming the pieces could be found.